Hi, guys. My name's Darrel and I'm head of the tech team here at LocksOnline.co.uk. Thanks for taking the time to tune in and have a look at one of our product review videos. 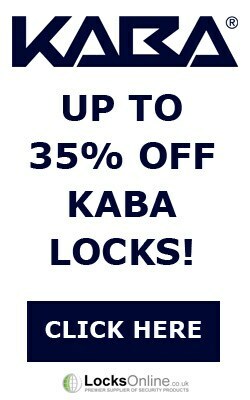 Today we're talking about a Chubb lock. Well, it used to be called Chubb, and now it's called Union. So in the old days, everything was Chubb Security, as you may or may not be more familiar with. 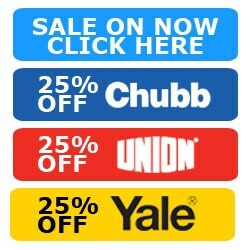 But going back a couple of years ago, Assa Abloy bought Chubb out, and they decided to change everything over to the Union brand. But what we have here, the 3C10, is actually technically still the Chubb lock. So if you're thinking that you need to replace it, or you're looking at having a Chubb security lock, then this is still, in essence, the heart of it, as Assa Abloy are saying it's still a Chubb. 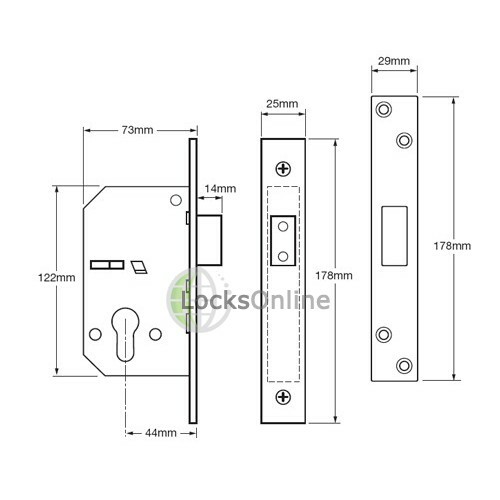 Now, what's distinctive about this particular size of lock, as you can see there, it's a significant size. It's quite a big lock, as you can see there. One of the cases, these particular cases, are what they used to call in the industry a detainer-style lock. 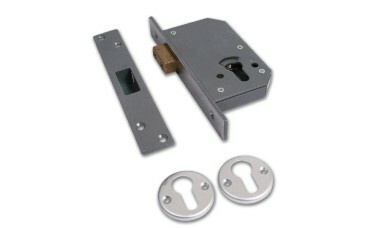 And you can still get the detainer-style locks that have the same footprint as this. But what they've done here is they've actually taken out a cutout there to allow you to use a Euro profile cylinder. So if you happen to have a five-detainer lock of this particular type of style—not the lever; it's a detainer lock—and the footprint is near and nigh the same as what you've got here, and you can swap it over, and you can put a Euro cylinder in its place if you wanted to do so. Now this is just a deadlock as you can see, so it just throws a bolt. There's no latch on this particular type of lock. It's just a deadbolt version instead. You've got the faceplate there that I've just taken off there. It only comes in a satin chrome finish, okay guys, so be well with you being aware of that. And this is the actual bolt there, as you can see there projecting out. One thing that this particular lock has as well, I don't know if you can zoom in there for us, Lee, a little bit closer there, you see it's got some roller cams there. And the idea is that if I'm somebody trying to saw this bolt, or trying to cut through it, etc., then those roller cams designed to rotate to stop the hacksaw cutting through the actual product. So they're going to be there for a month in Sundays trying to cut through that particular lock with a hacksaw. Now it can accept a cylinder as we've discussed there. The actual keep for it is, again, is significant. It comes in this grey finish, as you can see there. 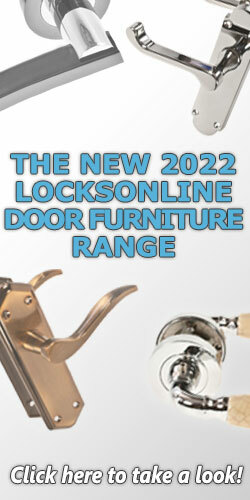 And of course it's designed to work in conjunction with that particular type of lock there, as you can see. You might be well aware as well, is that they're going to be sitting off-centre, as you can see there. All right. So if you're trying to fit this and you pop this into the door, make sure you've got enough space on the vertical because this is going to sit slightly off-centre. Normally, everything sits in the centre like that, but this actually sits slightly off-centre. It also comes as well with a set of escutcheons as well. As you can see, standard satin anodised escutcheons. They come as part of the lock as well if you wanted to use these or perhaps you may already have some there if you're thinking of retrofitting. It comes standard with some screw fixings as well, and of course it's got some fixings as well for the actual escutcheons. What I'll do now is I'll just spend a couple of minutes and I'll go through some case sizes for you to give you some sort of idea. If you're measuring up as a replacement lock, then this will help you then be able to get those measurements to make sure that it's the right lock for you. So, the case depth is just 72mm all the way to the faceplate there, about 72, 73mm. The case height is 120mm. The fore end length is 180mm. The fore end width is 25mm. The bolt projection there is 15mm. The bolt height is . . . I'm going to be measuring that at around 32mm. And the bolt width then as well, we're talking here 14mm. So it's quite a stock, stumpy, but solid bolt as you can see there. The backset, which is the measurement from the faceplate to the centre of the actual cylinder itself, I'm getting that in at 44, 45mm, okay. Now it also has some screw fixing holes here, so if you're going to put some security escutcheons on then you can actually fit the security escutcheons on there, and those are the bolt hole fixings for those security escutcheons. And those centres there, if you're going to fit them in, I'm looking at 38mm centres there for the security escutcheons, which we also do on our website as well. So there you go, guys. I don't think there's much more that I can say about it. It's the Union, used to be Chubb, 3C10, available on our website now. But listen, if you need a bit more information about this particular product, or any product that's on our website, by all means, give us a call. Use the live chat on our website; it's totally free. Or pop an email over. We'd love to hear from you and, more importantly, we'd love to see you as a customer, thank you. 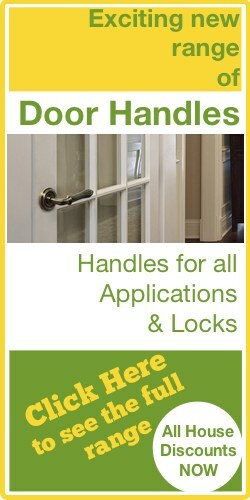 So from me, Darrel, and all of us here at the LocksOnline team, take care, and we'll catch up with you real soon. Bye-bye now.